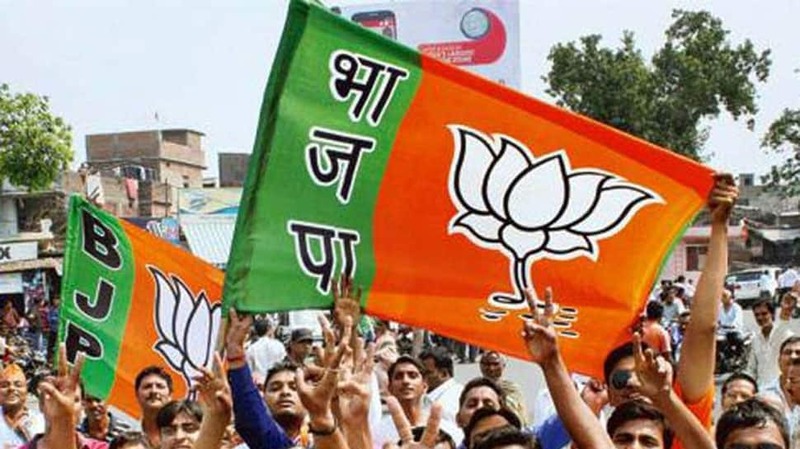 BHUNANESWAR: Two leaders of Odisha, who were elected to Lok Sabha in 2014 elections on BJD tickets, were among the 10 BJP candidates in the state whose names were announced by the saffron party Thursday in New Delhi. The two leaders – Balabhadra Majhi and Baijayant Panda – joined the BJP earlier this month. While former Kendrapara MP Panda joined the BJP on March 4, Nabarangpur MP Majhi was inducted into the party on March 16. Both will contest from their old seats. Majhi resigned from the BJD on March 14 alleging “neglect” by the party leadership. Two days after his resignation, BJD president Naveen Patnaik announced state minister Ramesh Chandra Majhi as the party candidate for Nabarangpur Lok Sabha seat. Though Panda had resigned from the BJD following a difference of opinion with Patnaik last year, he joined the BJP only on March 4. Of the 21 Lok Sabha seats in Odisha, the BJP announced nominees for 10 seats. Till now, the BJD declared nine candidates and the Congress six. While there are three women in the BJD’s list of nine candidates, an equal number of women figured among the 10 candidates of the saffron party. There is no woman in the Congress’ six nominees. The BJP has fielded a new candidate, bureaucrat turned politician Aparajita Sarangi, in Bhubaneswar Lok Sabha seat. It also made former BJD minister Rama Krushna Patnaik’s daughter Anita Priyadarshi as its candidate from Aska LS seat. The party has renominated former MP Sangeeta Singhdeo from Bolangir seat. She had lost to the BJD candidate in 2014 elections. Union Tribal Tribal Affairs Minister Jual Oram has been again fielded at his home turf of Sundergarh Lok Sabha seat. Oram was the lone BJP candidate who had won in the 2014 elections. The other BJP leaders who had been renominated are Rudra Narayan Pani (Dhenkanal), Pratap Sarangi (Balasore) and Anant Naik (Keonjhar). BJP leader Bhrugu Buxipatra will contest from Berhampur Lok Sabha seat.